Gambling is frowned upon and has been outlawed in many parts of Eastern Europe. Does Ukraine follow the approach of its neighbouring nations when it comes to allowing its citizens to bet? o get money online, we’ll talk you through what deposit and withdrawal methods are available and what sports are popular to bet on, before finishing up with our thoughts on what the future holds for the locals. Ukraine gained its independence from Russian rule at the end of the Cold War in 1991 and gambling flourished. Without any specific laws or regulations to control operator practices, by the year 2000, there were nearly 50 venues with gaming machines in Ukraine (the vast majority concentrated around the capital Kiev). The Olympic Casinos group were a dominant force and in some of their more remote locations, customers could play casino style table games such as Roulette, Blackjack and Poker. Poker was a point of contention, and it was initially exempt from the new laws, as it was considered a sport. However, the government rescinded this decision at the end of 2009, to much objection. Eventually, the Ukrainian Supreme Court ruled in favour of the poker industry, deciding it was a sport and was legal, thus paving the way for a plethora of poker rooms to reopen. Although online gambling in Ukraine is illegal, it has not stopped citizens from betting, with most of the major bookmakers from around the world accepting clients from the country. The laws may be strict on paper, but without a strong censorship program (like Russia or Belarus), actually eradicating online gambling seems unrealistic. In a promising turn of events, in June 2014, the Prime Minister Arseniy Yatsenyuk made a statement where he claimed the country needed to legalise gambling to bring additional revenue into the country; “It’s absolutely necessary to adopt the law on the legalization of gambling and to obtain additional revenue to the budget of the country,” he said. It is widely accepted that there underground gambling is rife, and the country may as well benefit from regulating and taxing the industry. Where Can Ukrainians Bet Online? Some big firms such as Bwin, BetVictor, Coral and Ladbrokes do not offer their services to Ukrainian customers. 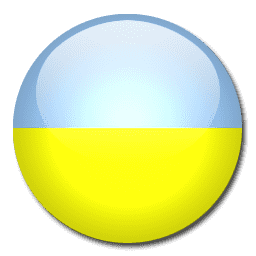 When using WebMoney, customer are able to deposit in Ukranian Hryvnia. For all other methods, they must deposit in US dollars or Euros. The above payment methods are available with the vast majority of bookmakers. Even though the regulation isn’t that strong in Ukraine, it would be prudent for customers to use one of the e-wallets to increase their level of security and keep intact the anonymity of their transactions. Football is the most popular sport in Ukraine, and the country has produced some very good players in recent years, most notably Andriy Shevchenko. The country hosted UEFA Euro 2012, although they went out in the opening round. On the domestic scene, the Ukrainian Premier League has been dominated by two teams; Dynamo Kiev and Shakhtar Donetsk. With significant financial investment, these two teams have managed to compete on the European stage, with Shakhtar Donetsk winning the UEFA Cup in 2009. Fans are fervent in Ukraine and come in their droves to support their teams. Kiev have a 70,050 seater stadium, whilst their rivals Donetsk can fit just over 52,000 fans into their ground. Besides football, basketball is extremely popular in Ukraine. The top professional league is the Ukrainian Basketball Superleague, which attracts players from around the globe. The country is hosting the 2015 EuroBasket championship, which should further develop interest in the sport. Although they have spent most of their career boxing in Germany, Ukraine can boast two of the finest heavyweight boxers of the modern era in the Klitchsko brothers. At a much lower weight, Vasyl Lomachenko is flying the flag. The diminutive fighter is widely renowned as one of the best amateur fighters ever to lace up the gloves, and he is already making his mark on the professional ranks. The statement made by Prime Minister Arseniy Yatsenyuk in 2014 was certainly promising, as he recognised that gambling was rife despite it being illegal, and therefore it would make economic sense to legalise and regulate as opposed to criminalise. However, regardless of any changes in laws, it remains fairly easy for Ukrainian citizens to gamble freely online. 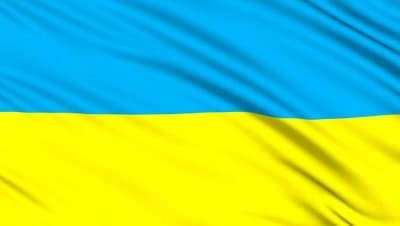 Some European bookmakers will not accept their business, but the majority (including the major firms), are happy to open up accounts for customers joining from Ukraine.